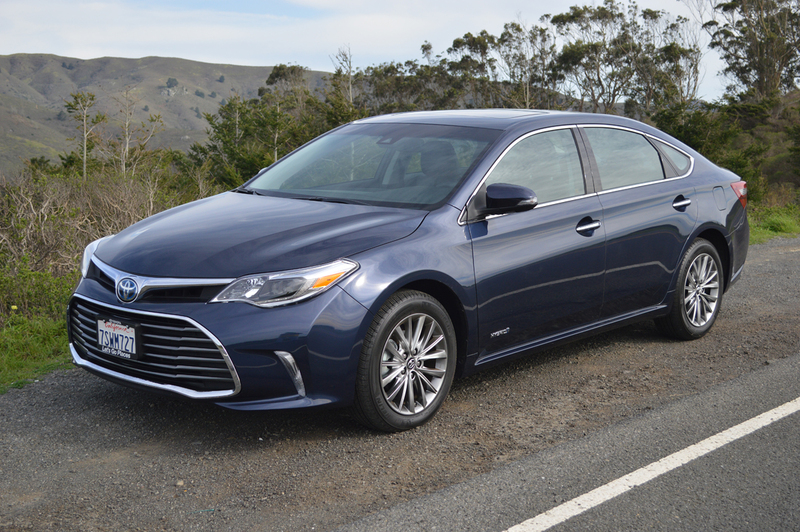 When I recently rode in a first generation Toyota Avalon belonging to a friend, I was astounded by its small size and lack of amenities. That pioneer Avalon was really little more than a rebadged Camry with an elevated price tag prompted by pretensions of luxury. 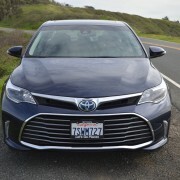 Today’s Avalon is a very different product from that modest initial offering. 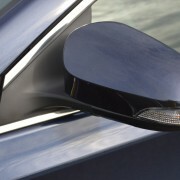 Although it has retained the same “big car” dimensions for the last decade (111 in. 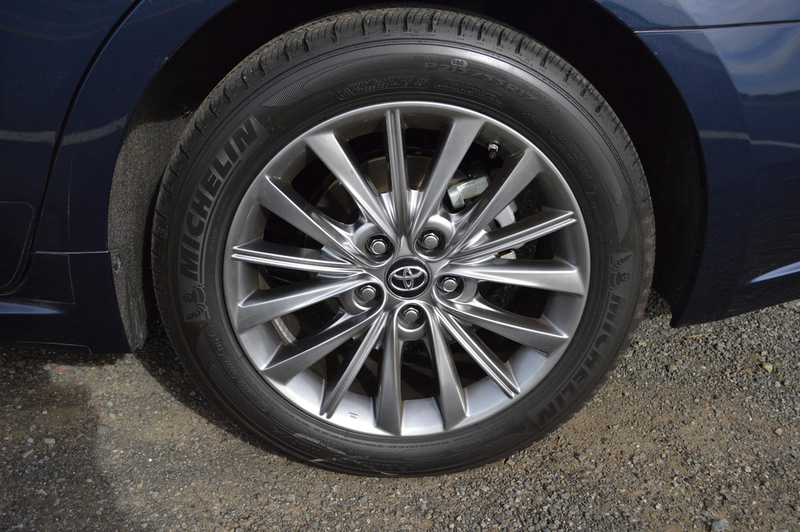 wheelbase, 72 in. width, 197 in. 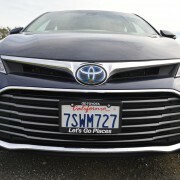 length), the packaging within has transformed the Avalon from a massaged Camry into a luxurious line-topping sedan with no need to apologize for anything. In the case of our test vehicle, there’s no need to hedge about its green entitlement either, since this sizeable 3,590 lb. 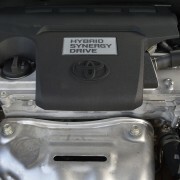 quintet mover registers a planet saving 40 MPG in overall driving thanks to inclusion of Toyota’s well integrated Hybrid Synergy Drive system. 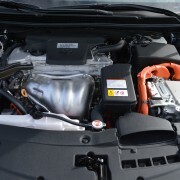 The Hybrid combines a permanent magnet synchronous electric motor good for 200lb.-ft. of torque with a sophisticated (DOHC/VVT-i/ 16 Valve) 4 cylinder 2.5 liter gas engine good for 200hp. This combined output reaches the rear wheels through a constant velocity transmission (CVT). 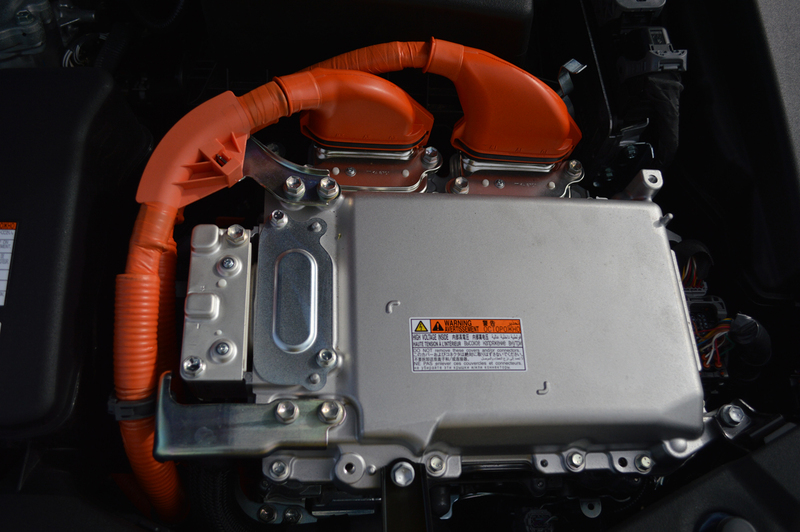 According to the government, this drivetrain produces an average yearly fuel cost saving of $2,500 compared to the MPG rating of a comparable gas-only vehicle. 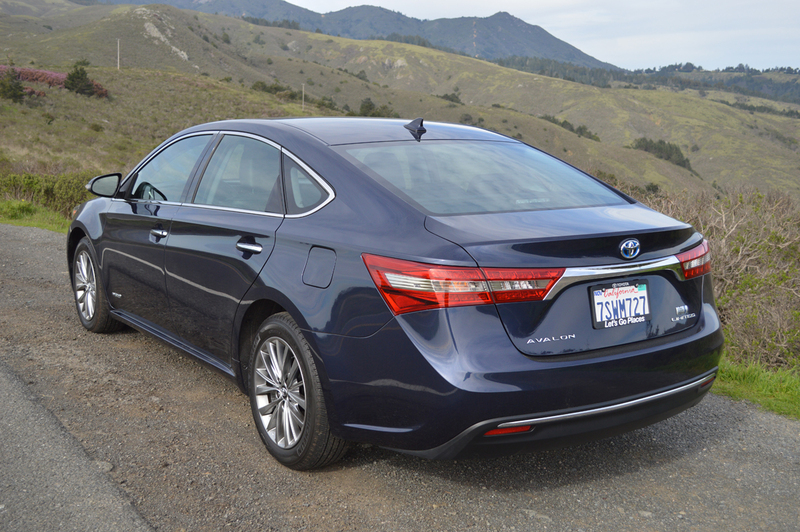 The EPA also allows you to brag that your Hybrid Avalon posts a 9/10 on the “fuel economy and greenhouse gas rating scale,” and an 8/10 on the “smog rating” scale. 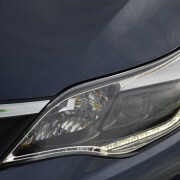 Of course, you will pay a premium for this car’s complicated Hybrid propulsion unit. 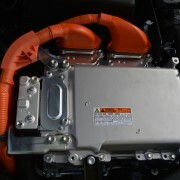 The first up-charge comes at purchase time, because choosing a Synergy Drive Avalon propels the base price to $42,550. The gas powered Avalon range starts at just $34,000, so you’re definitely tipping the high end of this model’s pay scale. 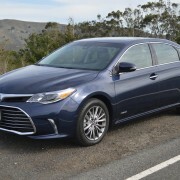 However, there is that $2,500 savings in fuel costs to consider, so you should come out better than even if you keep your Hybrid Avalon for at least 3 years while driving it roughly 12,000 miles per year. 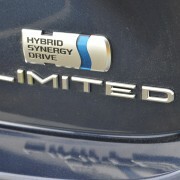 But what kind of a driving experience does the Hybrid provide, aside from its proclivity for efficiency? 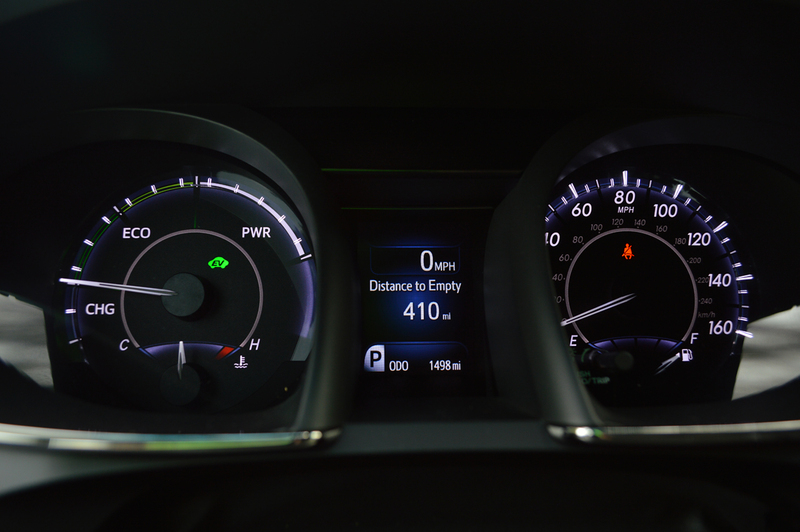 Simply put, this Avalon will not ignite the smoldering embers in an enthusiast’s breast. 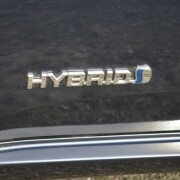 The problem derives from the Hybrid’s compromised power-to-weight (P/W) ratio. 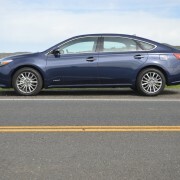 With just 200hp to propel 3,590 pounds of sedan, the Hybrid posts a P/W ratio of 17.95lbs./hp. 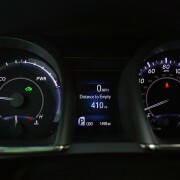 Compare that to the gas powered, 268hp, V6 Avalon’s P/W ratio of just 13.39 and you’ll understand why the Hybrid takes its time reaching freeway speed from a stop. 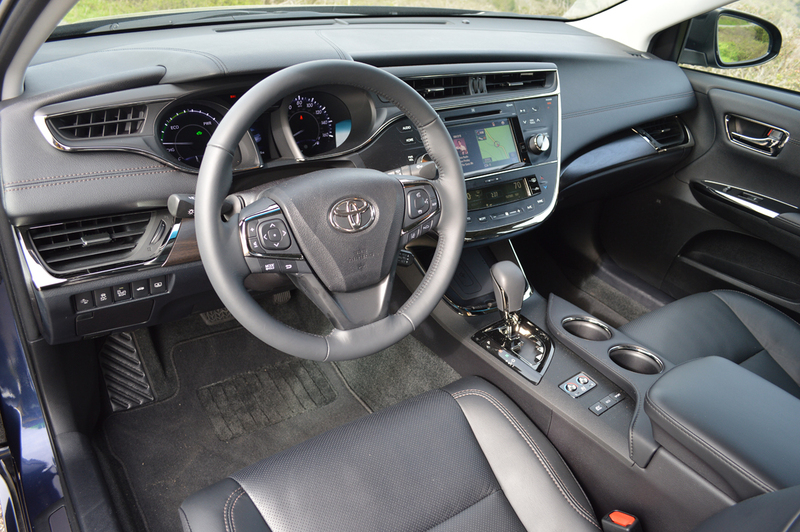 The good news here is that this gives you even more time to enjoy the many amenities Toyota has baked into the latest Avalon interior. You will not be disappointed in the level of attention to detail here. Both front and rear seats are exceptionally comfortable. 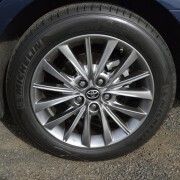 Since this sedan’s modestly proportioned tires (215/55R17 Michelin Primacy MXV4) and softly sprung suspension generate light side loads on curvy roads, the seats require no side bolster support. This allows very easy ingress/exit. The seat design emulates a Barca-Lounger style chair with relatively flat cushions that feel cushy and inviting. Both front seats are fitted with separate console mounted controls for heat and ventilation. For a dash design predicated on hard touch points rather than knobs or buttons, the Avalon’s layout is relatively successful. But hard touch adjustment surfaces have their drawbacks. For example, if you seek to adjust cabin temperature, you must first visually locate the HVAC slide scale for your side of the interior, then position your finger over the up (red) or down (blue) arrow, and then administer a jab. This push is acknowledged by a corresponding chirp. While this added design complexity might make cell phone addicts happy, it’s still not as rewarding to operate as a simple dial control. The Avalon’s JBL Audio system deserves a special note of praise. 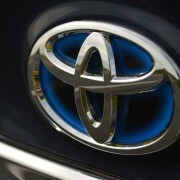 The 7 inch touchscreen on the dash operates not only the 11 speaker JBL entertainment unit, but Toyota’s Entune App suite and standard Navigation System as well. The JBL’s bass output was truly remarkable, and once we dialed in our preferences to the SXM satellite radio (3 month free trial included), we enjoyed a solid week of our favorite tunes at a dauntingly booming volume level. 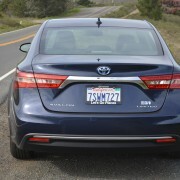 But that kind of enjoyment is definitely the Hybrid Avalon’s strong suit. 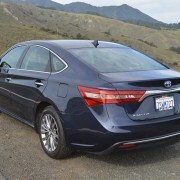 This is a large family car designed for covering long and boring stretches of interstate while keeping you entertained, comfortable, and virtually immune from the need to stop and refill the Avalon’s 17 gallon gas tank. 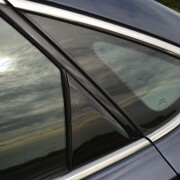 2011 Chrysler 200 Review – Don’t call it a comeback. It’s been here all along.